Echinacea Dosage – How Much Is Needed To Thwart Off Cold? Echinacea Side Effects – Gastrointestinal and During Pregnancy! The Echinacea plant yields many natural wonders from its leaves, root and flower and has been used in medicine for centuries for many purposes. This herb has been thought to treat the common cold and other respiratory maladies, along with many familiar infections. Echinacea And Pregnancy – Can I Continue Taking This Supplement? Even though the herb has been used for centuries, only a few studies were conducted on Echinacea and pregnancy. Hence, the safety of the herb during pregnancy is harder to establish. 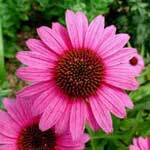 The few studies that were conducted on Echinacea and pregnancy, reported mixed results. Echinacea flowering plant belong to daisy family and is native to North America. 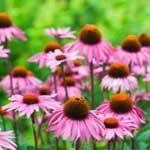 Acknowledging Echinacea benefits Native Indians have been using the herb as a medicine for more than 400 years. 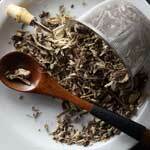 The herb can also be taken as tea or applied topically on the skin. Although no significant Echinacea side effects were found, in rare cases Echinacea taken orally can cause allergic reactions, especially in people allergic to certain flowering plants in daisy family. Other effects can include nausea, vomiting, abdomen pain etc. 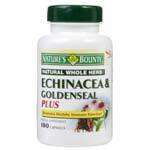 Echinacea and Goldenseal – How Do They Work Together? Many reports tie the simultaneous use of Echinacea and goldenseal for respiratory ailments such as the common cold and the flu. When compared to laboratory-produced alternatives like aspirin and antibiotics, the combination of goldenseal and Echinacea benefits along with their rare and mild side effects make the herbal duo the optimal choice for treating colds and related conditions.